This book provides a broad, mature, and systematic introduction to current financial econometric models and their applications to modeling and prediction of financial time series data. It utilizes real-world examples and real financial data throughout the book to apply the models and methods described. Key features of the new edition include additional coverage of modern day topics such as arbitrage, pair trading, realized volatility, and credit risk modeling; a smooth transition from S-Plus to R; and expanded empirical financial data sets. 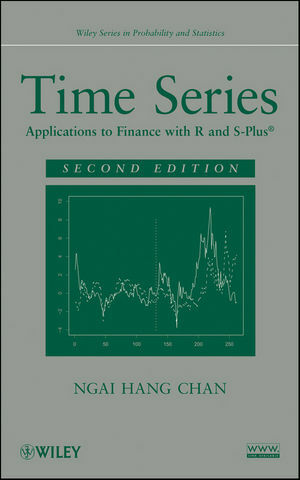 The overall objective of the book is to provide some knowledge of financial time series, introduce some statistical tools useful for analyzing these series and gain experience in financial applications of various econometric methods. 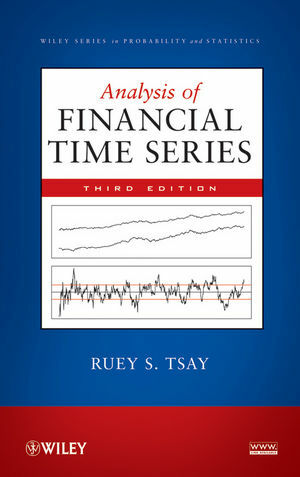 RUEY S. TSAY, PhD, is H. G. B. Alexander Professor of Econometrics and Statistics at the University of Chicago Booth School of Business. Dr. Tsay has written over 100 published articles in the areas of business and economic forecasting, data analysis, risk management, and process control, and he is the coauthor of A Course in Time Series Analysis (Wiley). Dr. Tsay is a Fellow of the American Statistical Association, the Institute of Mathematical Statistics, the Royal Statistical Society, and Academia Sinica. The new edition includes new developments in financial econometrics such as realized volatility, bi-power variation, credit risk management, default probabilities, pair trading, and dynamic factor models, among others. Empirical data sets have been updated and expanded throughout. R has replaced S-Plus so as to make the book less dependent on commercial software. User comments have been taken into serious consideration resulting in a reorganization of various sections and content for ease of understanding and the correction of minor errors. As in previous editions, algebraic derivatives have been kept to a minimum and the balance between theory and application is emphasized. There are extensive sets of exercises that reinforce the content. Abundant examples are spread throughout. References have been added and updated where applicable. "Factor models, an important technique used in quantitative finance, are given a full treatment with macroeconomic factor models and fundamental factor models.